You might notice that there's a foodie theme in my blog posts. This one's about English cherries and oh my goodness how good are they right now! I've bought a bagful at a carboot sale in Hereford at the weekend that were grown in Ledbury. It's now coming to the end of the season, so I was quite surprised to find them at all. The cherry season is really really short, just like asparagus, and is at its height in mid July. So far all the cherries I've eaten this year have come from Ledbury - I must find out whether they are all from the same farm. One bagful from Jenkins greengrocers, contained cherries so huge that they worked out at 12p or 13p each! (comment from Heather - "that's about the price of a lob worm!"). And there was no forfeiting taste for size. Apparently we are rapidly losing our cherry orchards (like so many others) and the only way to reverse this trend is to eat more English Cherries. So I've taken this challenge on myself and and now happily scoffing what I hope won't be my last bag of English Cherries of the season. No need for cake, I'll just take the cherry on top! Richard returns with tales from his vegetable garden, nursing a wound that seems to amuse Heather. He brings with him Part Two of his piece on keeping Chickens (you'll find Part One in Episode 183). But, before that, there's a quick visit to meet Rosie, the fragrant Wiggly Florist, to see what's making the cut in this week's Wiggly Bouquets, plus another Monty Cast - this one clears up exactly what young Alfie says at the end of the 'Open Day 2008' video in the Wiggly Cinema. 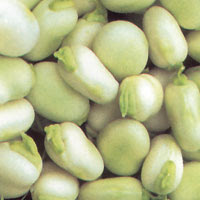 I got some really funny looks when I brought whole broad bean pods into the office for lunch the other day. They were actually quite tasty, not least because I grew themself. I tried to explain that in Spain in the more rustic bars, you sometimes get handed a plate of beans still in their pods as tapas with your beer. But they weren't convinced! From Tanya: Boil them and then mix with fried garlic, pine nuts and pesto. Apparantly that's how the Wiggly accounts wizz gets her children to eat brussell sprouts too. Wierd! From Karen: Just shove them in the steamer. Boiled for 3 mins then peeled, then chucked in a fritatta with fried red onions, fresh mint and feta cheese (I used goats cheese and it was just as yummy). So good, I've had it twice already. From Rach: "No. I hate them. My Dad was a market gardener and when we came from school we had to pick them. So now I can't stand them." The Painted Ladies are coming! Just found out that our gardens are likely to be invaded by not millions but billions of butterflies in the next couple of days! 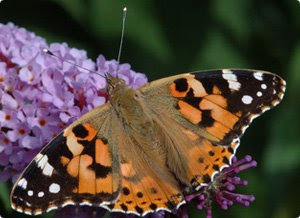 The pretty amazing Painted Lady butterfly migrates to the UK every year from North Africa. It lays its eggs here and then about this time of year they hatch, before flying back to Africa to overwinter. This year, because of the perfect conditions in Morocco, where they originate, a great than usual number arrived in May. Now the next generation are about to hatch in their billions from their cocoons and add some more wonderful colour to our gardens. Find out more about them on the Butterfly Conservation website. 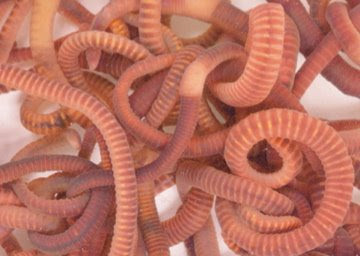 Wiggly Wigglers were pleased to sponsor Buglife's Worm Week Here are the results of the winners of the worm week competitions:http://www.buglife.org.uk/News/Worm+Week+Winners.htmCorking Wormy Poems! Rain butts – It's very satisfying watering the plants you have grown from scratch with water collected for free off your own roof. With the cost and environmental impact of treating water to make it drinkable it seems a waste to use it on your garden when gallons and gallons of the stuff hits your roofs every year, only to disappear down the drain. Wiggly Wigglers supply a number of water saving items that will help you make the most of the water that would normally go to waste, including the Drought Buster which can be used for siphoning off your soapy old bath water. 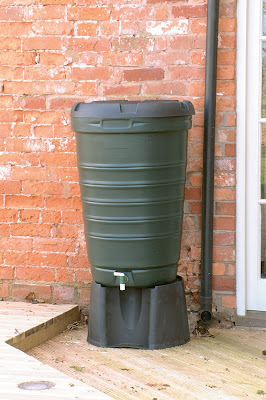 This is not only a great way of saving water but because this water is often soapy it will help control aphids on your plants who hate soapy water.